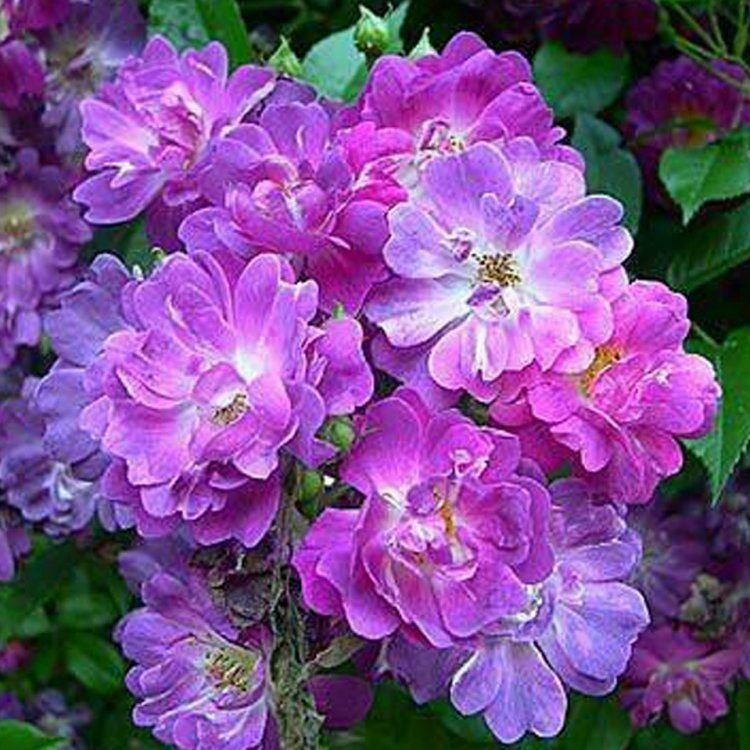 Veilchenbleu is a vigorous rambling rose producing large clusters of small, semi-double, white-streaked, dark magenta-blue flowers with a citrus-orange fragrance. These cover the plants in June and July above bright green foliage. 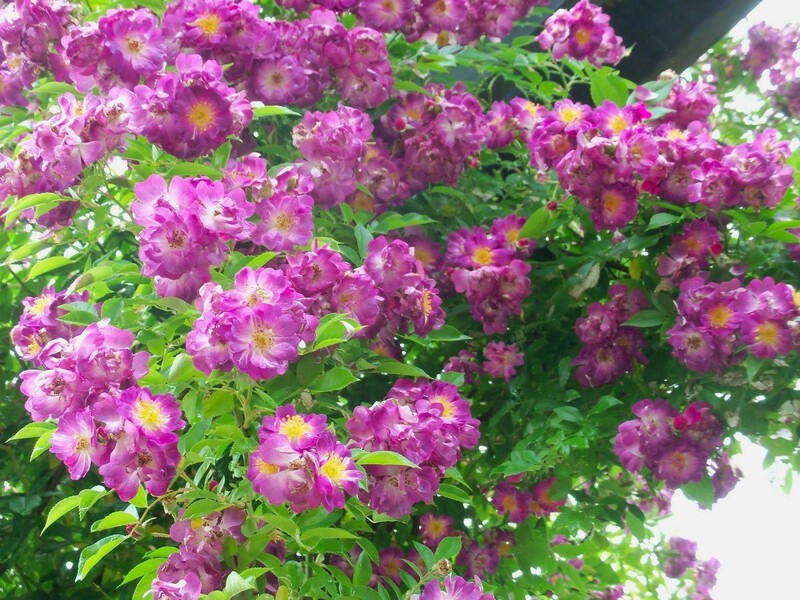 Rambling roses look gorgeous trained against an old brick wall or fence, it will do best in a position that is sheltered from the strongest mid-day sun. The blooms mature to bluish-lilac prior to fading off to lilac-grey - a very lovely and unusual climber.